Great photo, but I don't see Maureen. The only brunette is Bianca Jagger next to Bowie. — Joe L.
From left (upper row): Warren Peace, Angela and David Bowie, Bianca Jagger and Edgar Broughton. Seated from left: Mo Starkey, Mick Ronson, Lulu, Jeff Beck, Sue Fussey, Ringo. 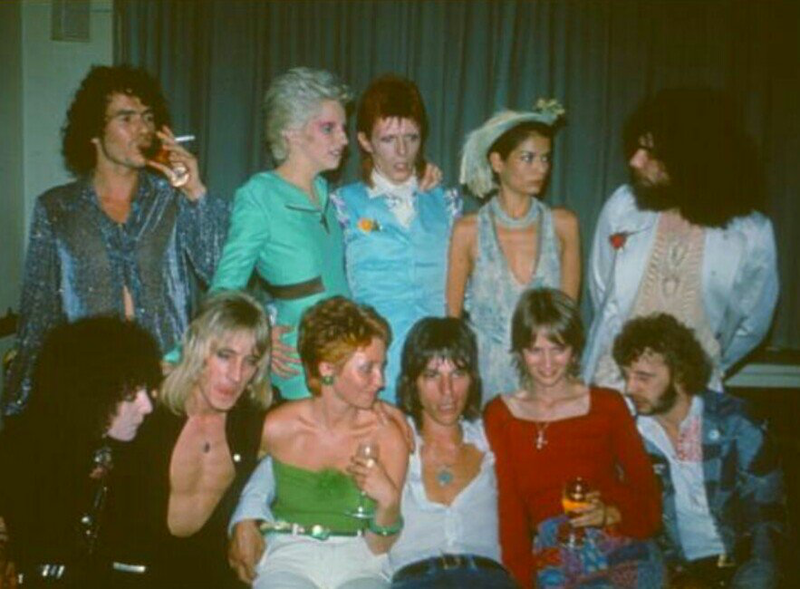 + Angie Bowie, + Lulu, + Jeff Beck and + the late, great Mick Ronson. 5 July 1973 after the final Ziggy show at the Hammersmith Odeon, London.